I think the landscaping crews did a magnificent job at the Fair. Yes the U.N. Our friend Kevin mapped them all from photos. 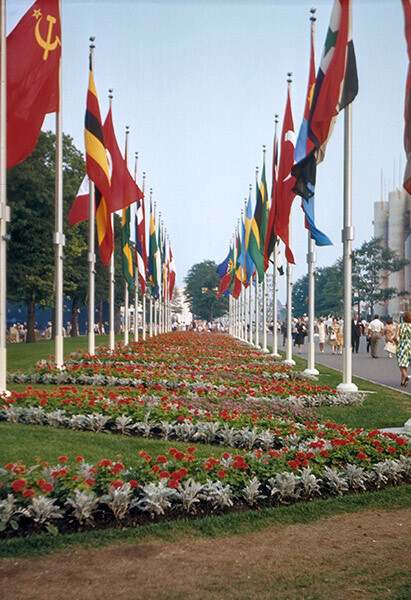 The flags in April '65 reflected U.N. changes between seasons. And they changed the Canadian flag in '65 immediately when Canadians made the change to the maple leaf flag. Interesting little tidbit of info. 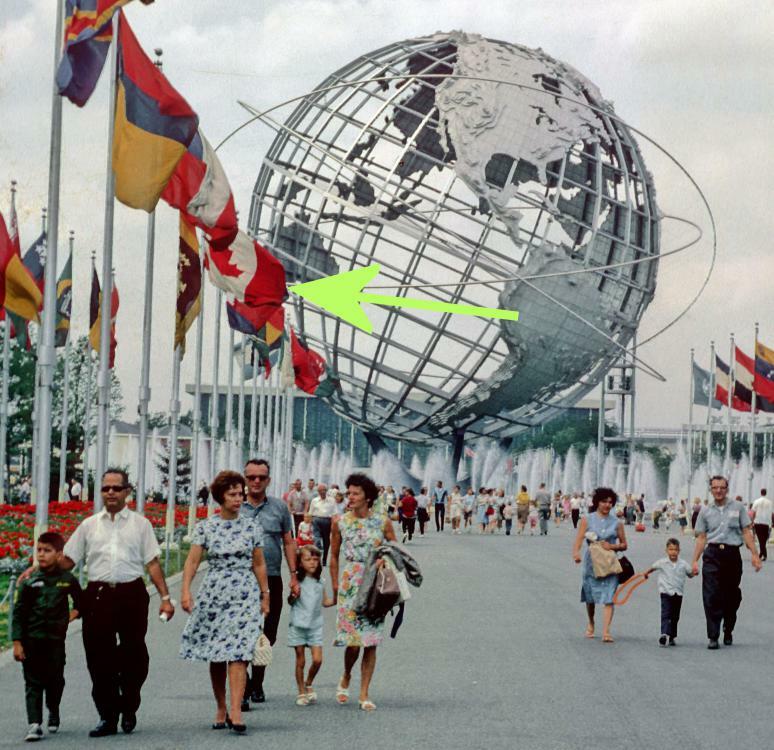 All of the flagpoles along the fair boulevards and avenues were actually rented by the Fair Corporation and returned to the vendor after the fair was over. The Canada Maple Leaf flag was officially adopted by Parliament (after bitter debate lasting for over a year), on February 15, 1965 (National Flag Day). It replaced the Union Flag. I don't believe I've ever seen a photograph of the Maple Leaf Flag flying at the NYWF. Does anybody have such a photo? 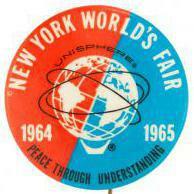 Its real debut to the world was at Expo 67 where the Maple Leaf was beautifully ubiquitous. I believe the Maple Leaf was used in 1965. No time to look for any photos now. Randy????? Correct. The Fair Corporation secured a new Canadian flag in time for it to fly throughout the '65 season.